Those little gremlins were such cute little things...until you got 'em wet or fed them after midnight. Then the bad stuff started and they transformed into pavement burning death machines that'll rattle your fillings loose on mildly distressed pavement and swap ends faster than you can say A.M.C. Find this 1974 AMC Gremlin offered here on eBay for $8,500 or best-offer located in Palm Springs, CA. Body Type: -- Trim: 350 HOT ROD! 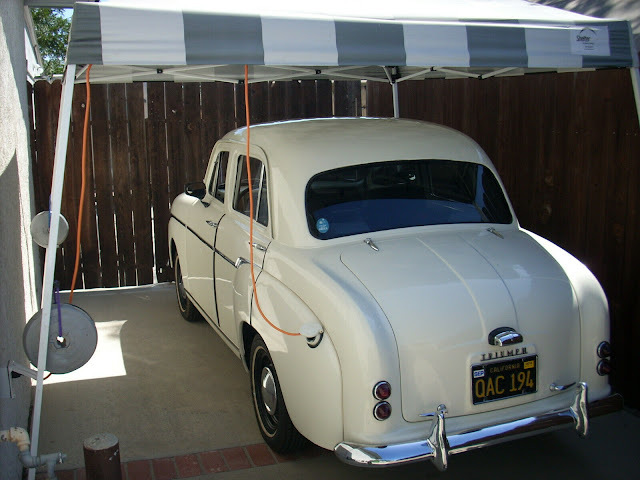 CALIFORNIA CAR! AWESOME DRIVER! 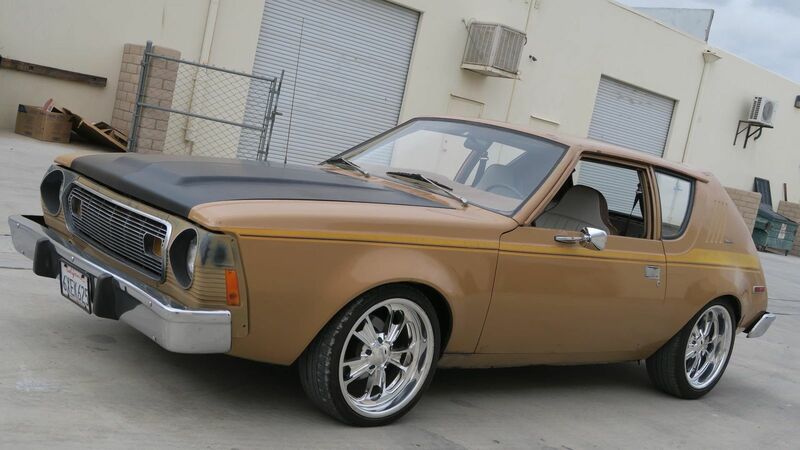 1974 AMC Gremlin 350 v8 Hot Rod California car!! Nice strong built 350 v8 engine with turbo 350 automatic transmission, low miles. MSD ignition with aluminum radiator. 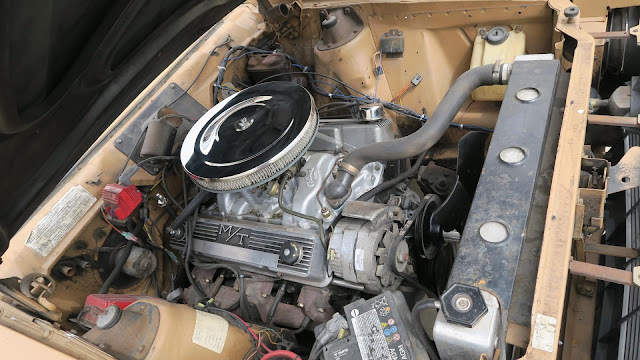 Edelbrock intake and carburetor. Dual Flowmaster exhaust. Great original Patina paint with original decal. Clean body and floors. Nice interior! Seats reupholstered in the past. B and M shifter! CD player. Polished aluminum wheels with new tires front 205/70/17 rear 225/45/18. Front disc brakes, good steering and suspension parts. Very Fun to drive! All gauges, wipers and lights work. No leaks, smoke or noises. Runs and drives excellent! California title. International buyers welcome! Gremlins have never been a good looking car, but this is a pretty sweet ride. 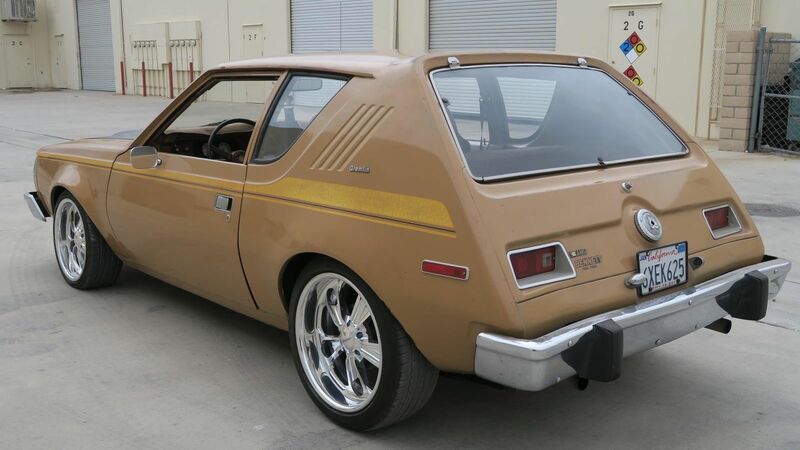 Its much easier to accept if we think of it as AMC's effort at a Clown Shoe decades before BMW. This one definitely ate after midnight. Those wheels got go !